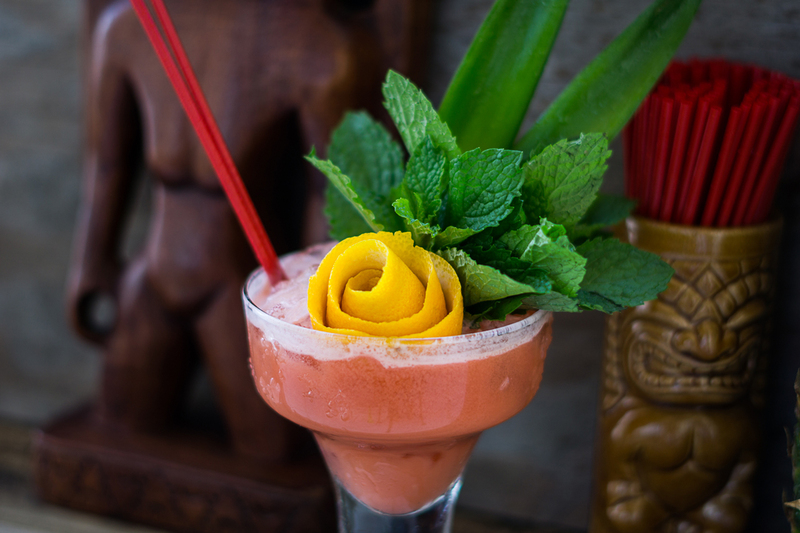 When time is of the essence, you can still put together an impressive Tiki drink for company. 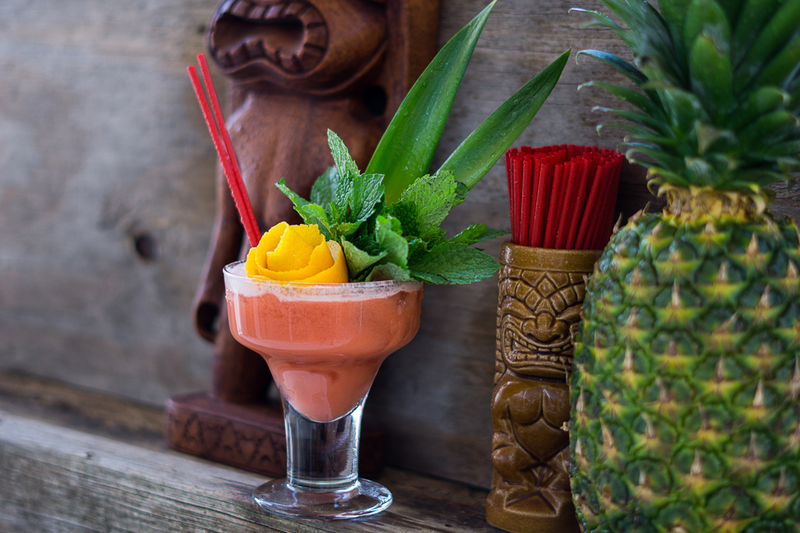 Your guests may be tempted to try this tribal-inspired concoction straight from the jungles of central Ecuador, but have your shaker or top-down blender ready – it’ll be hard to mix our sweet, ceremonial drink without them. 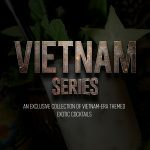 Sourced from one the most remote parts of the world, this alluring recipe was believed to have been used as a communal drink, served by tribal elders before ritualistic acts of worship. Not much is known about the origin of the tribe from whence the recipe came, however, we’re told by anthropologists that the particular tribal group in question were known to have worn fantastic headdresses obscuring their faces from view. 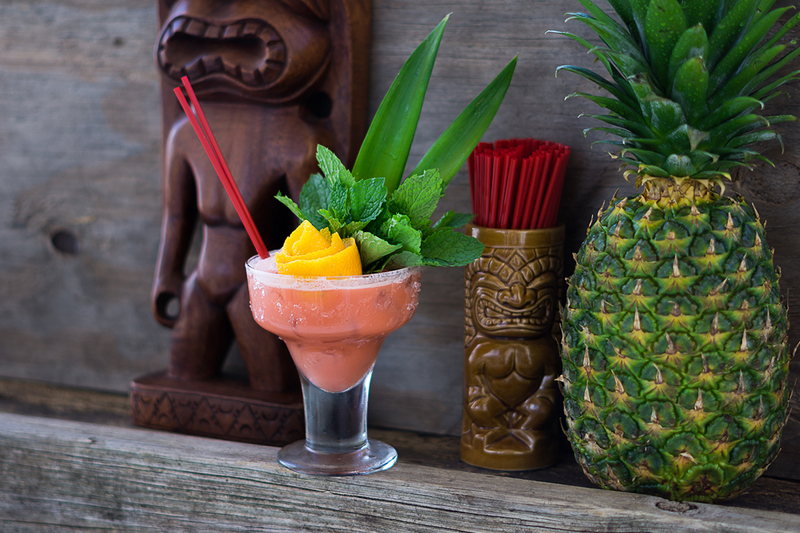 Your guests will never guess how quick and easy this Tiki-style, tribal concoction is to prepare. According to historical documents, almost all tribals are fond of drinks and consume them during every ceremony – festivals, marriages, funeral feasts, as well as offering it to their Gods and deities. 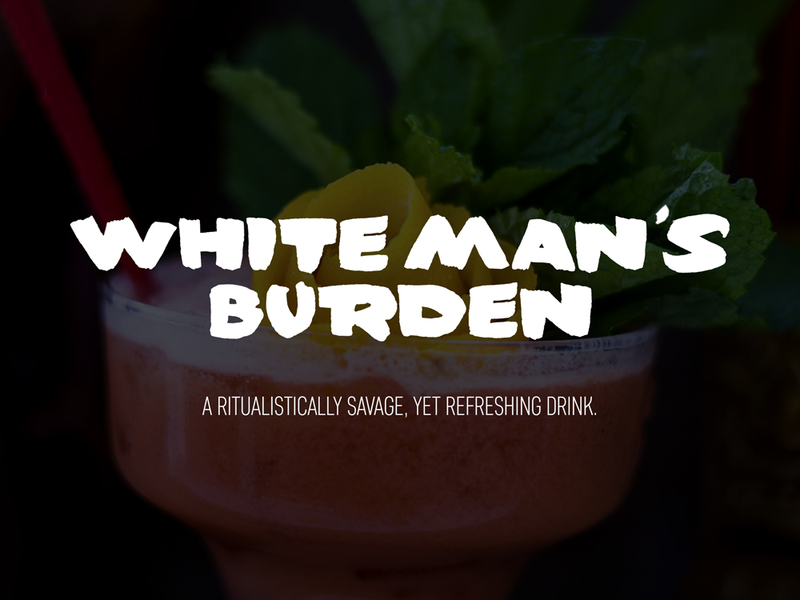 White Man’s Burden is a recipe that can be batched up in advance and served as either an individual cocktail or as a mass communal drink for groups of four people or more. Method: Flash-blend with 1 cup of crushed ice for 3-5 seconds. Add additional ice if needed. Garnish with multiple fresh mint sprigs, pineapple leaves, and orange roll. 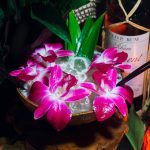 ‘White Man’s Burden’ featuring the rarely used sloe gin, an ingredient popularized by Trader Vic during Tiki’s Golden Era. If you can’t find Ron Virgin Full-Bodied Dark Rum, substitute Bacardi Black or Ron Carlos Black instead. However, we like Ron Virgin’s subtle, yet alluring profile with its hints of black cherry, cinnamon, and coffee. 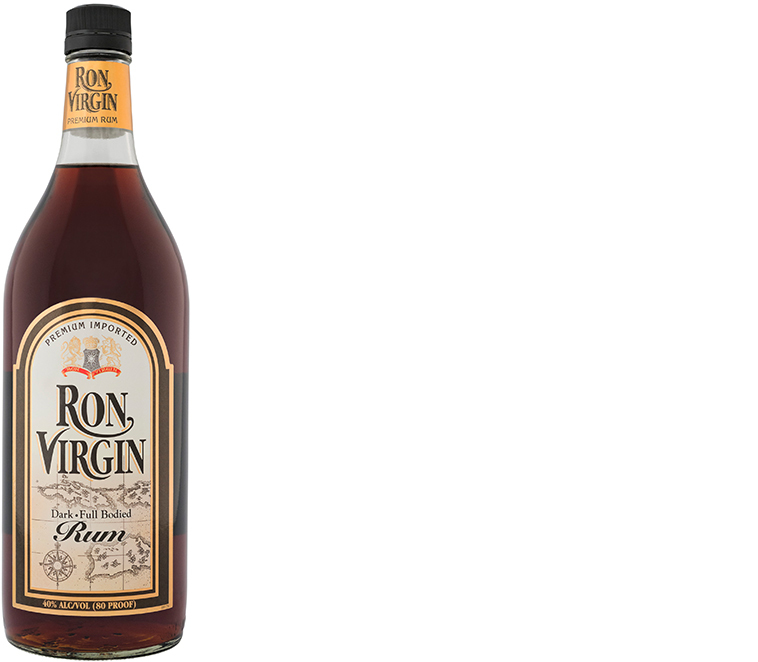 At 40% ABV, Ron Virgin is a very welcome addition to the dark mixing rum category that proves to be a cut above the rest in the same space. 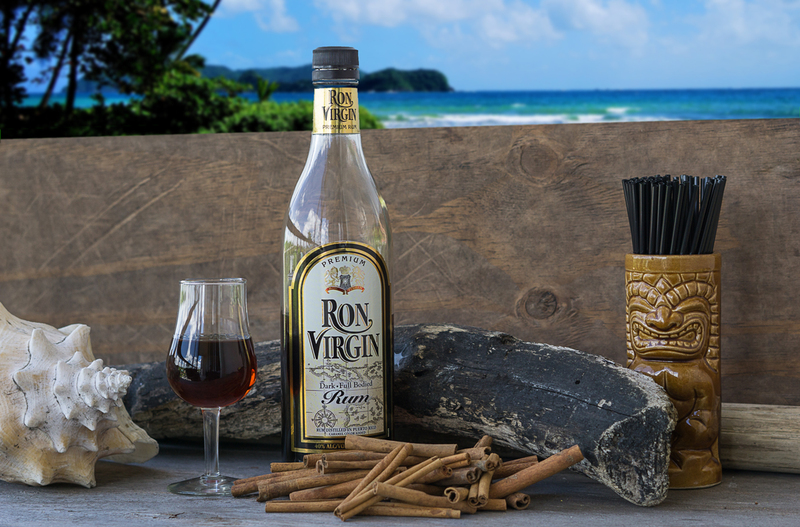 Ron Virgin’s award-winning dark, full-bodied rum boasts unusually potent flavors of baked cherry and grated cinnamon.